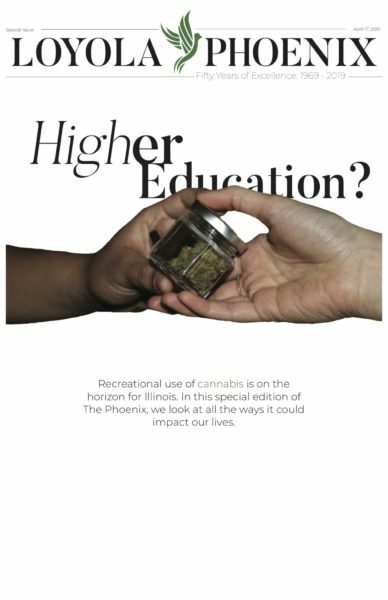 Mary Chappell | The PHOENIX Sales in recent weeks are up 300 percent compared to this time last year. 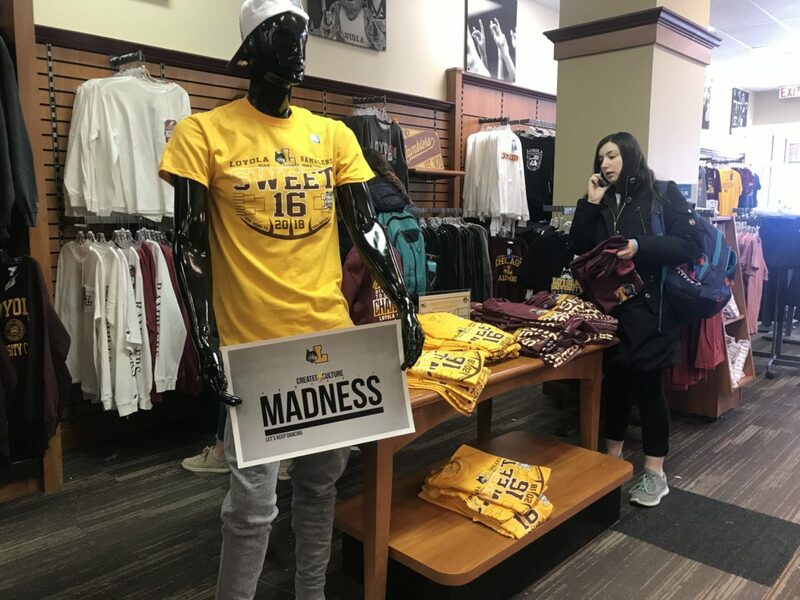 In the past few weeks, Loyola University Chicago fans from all over the world have been purchasing maroon and gold merchandise to show their support for the men’s basketball team in its first March Madness run since 1985. The team’s success in the first two rounds of the tournament has caused university bookstore merchandise sales to increase dramatically. Mani Pillait, the store manager at the Lake Shore Campus bookstore, said sales in the past few weeks online and in stores are up 300 percent from what they were at this time last year. The Ramblers have gained international attention due to their success. People from across the country and the world have purchased merchandise online. “We have received online orders from all over the country and also internationally, so there is a really wide group of people who are interested,” Pillait said. She said the victorious season has also brought a variety of people into the store. Pillait said that the atmosphere is different at the bookstore from its typical academic sales. The Lake Shore Campus bookstore has been advertising a sale where a $100 purchase will include a free Sweet 16 and Elite Eight beach towel. Trevor Bunger, a first-year psychology major, said he bought five Loyola striped scarves and received a free towel. The scarves have become an emblem at Loyola, and have had to be reordered due to them selling out. Bunger said Loyola’s newfound national attention is really special, and the scarves are an iconic part of that. “It’s really cool seeing Loyola in this big spot on a national sports stage,” Bunger said.